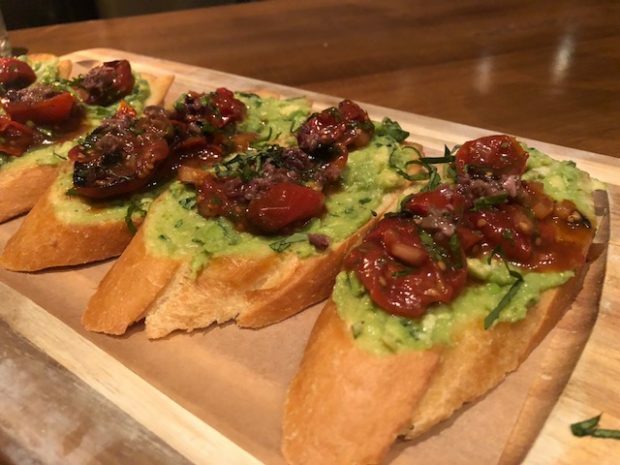 Nestled in Turtle Creek Village, Paul Martin’s American Grill offers a sophisticated yet approachable environment with delicious bites and drinks. 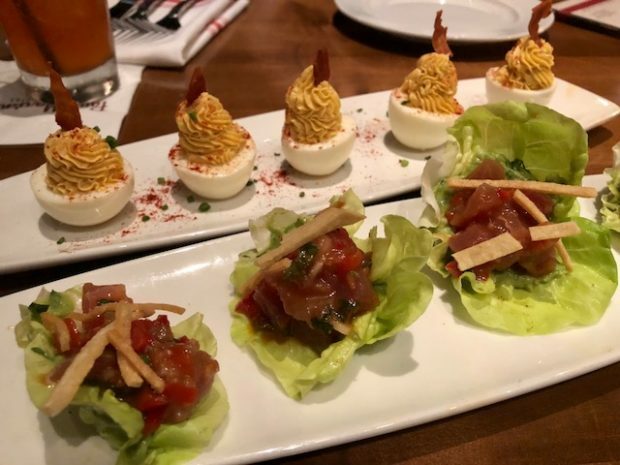 The restaurant just extended their happy hour program to the dining room, offerings all guests to jump in on all the fun. 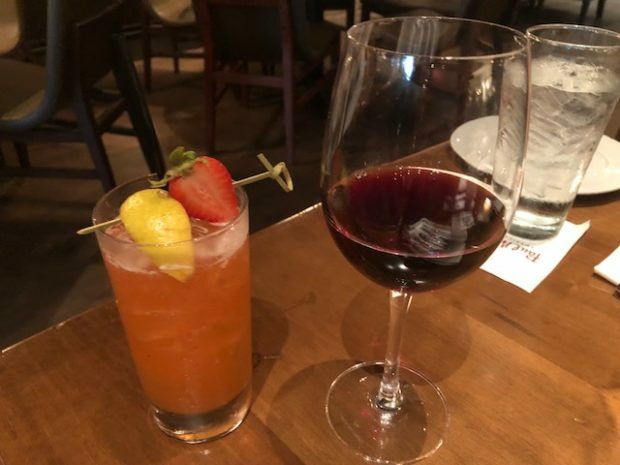 After all, who can say no to a great happy hour?? If you’re a regular here, you’ll see the usual happy hour menu but now with new additions. 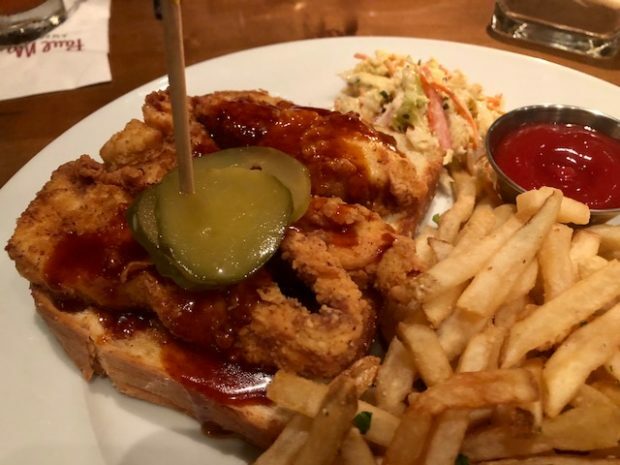 This Nashville Hot Chicken Sandwich is an open-facing sandwich, a neat item we haven’t seen much in Dallas yet. This spicy meal comes with Nashville hot sauce, pickles, housemade slaw and fries. (Substitute sweet potato fries for no extra charge.) Any of the sandwiches and burgers on the happy hour menu are $14 and come with your choice of a $6 drink (already included in the $14 price). Choose from a selected wine (7 oz pour) or beer. 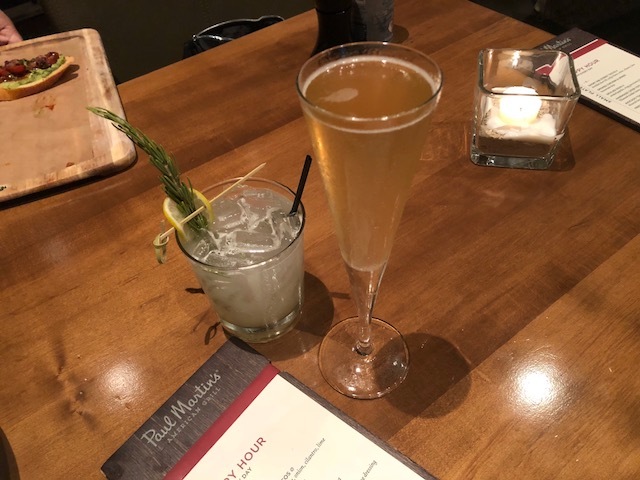 Happy hour at Paul Martin takes place Monday – Friday from 3 – 7 p.m. Visit their website to check out the entire menu.